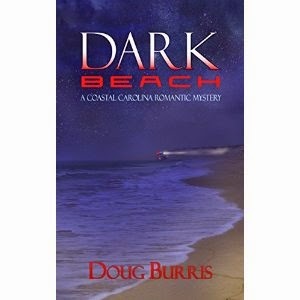 Doug Burris' “Dark Beach” is a romantic-suspense that’ll keep you engaged from start to finish. Although you could read this one as a stand-alone, I’d recommend you read book 1 in the Coastal Carolina romantic mystery series first to get the full experience. In the first book in the series, “Young Love Lost,” we meet David Jennings and Mary Roberts on the beautiful beaches of North Carolina. They’re rocked by a tragedy at the end of the book, and book 2 picks up shortly after this. David and Mary are trying to reconcile their past with the present when David comes upon a body on the beach. The body is the first sign of a series of murders that plagues the area. Although the locals are quick to point to the Wiccans as a scapegoat, David and Mary are wondering who the real culprit is. Doug Burris writes a novel that is every bit as engaging as book 1. With descriptive writing and interesting characters, Burris draws you into a romantic suspense filled with mystery and intrigue. I am usually pretty good at predicting endings, but this one caught me off guard. Recommended if you like stories with both romance and mystery.